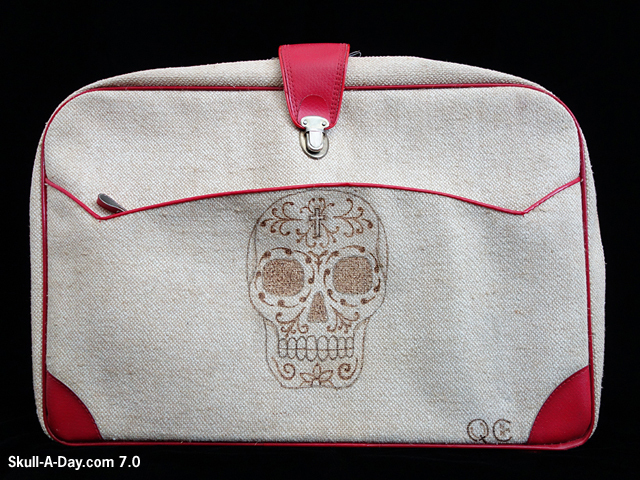 I couldn't help but post all of the images that we received from Enrique Camacho. 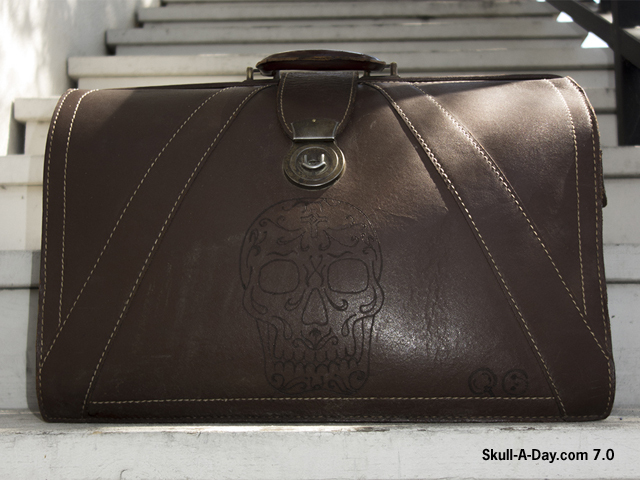 He's reusing old leather bags and breathing new life into them with "day of the dead" styled skulls. 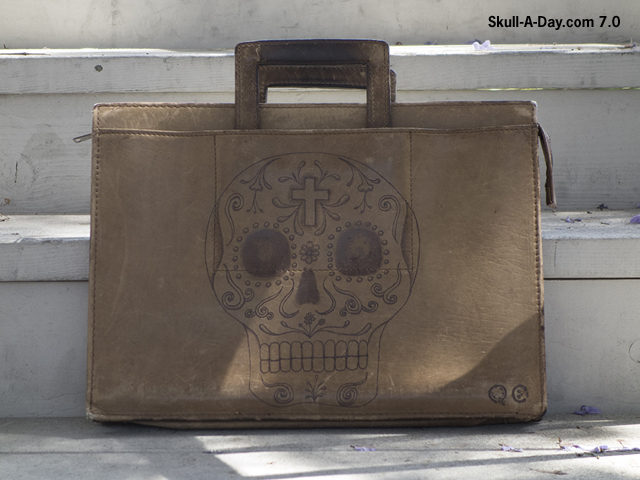 Calaveras cases I suppose. No matter what you call them, I'd call them excellent. 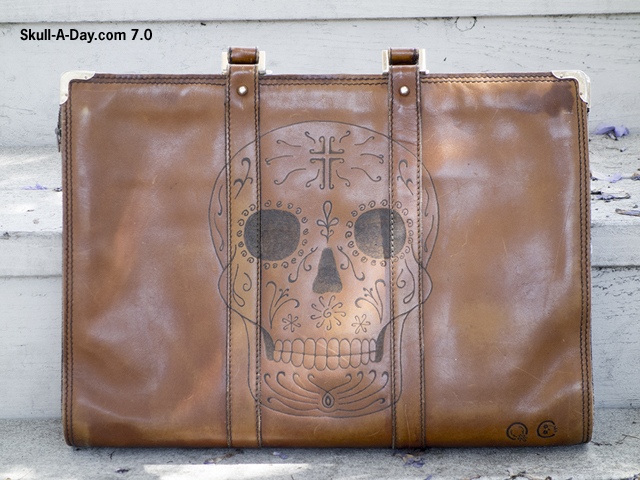 Enrique uses a wood burning tool to "brand" the leather with his designs. A bold look that maintains a sense of class and sophistication. Thanks for sharing these with us, Enrique! *The significance of the time of today's post is in remembrance of the tragedies of 9/11. Peace be with all of the families, friends, and lost souls.